In the United States, you have the legal right to obtain any past medical records from any hospital or physician. 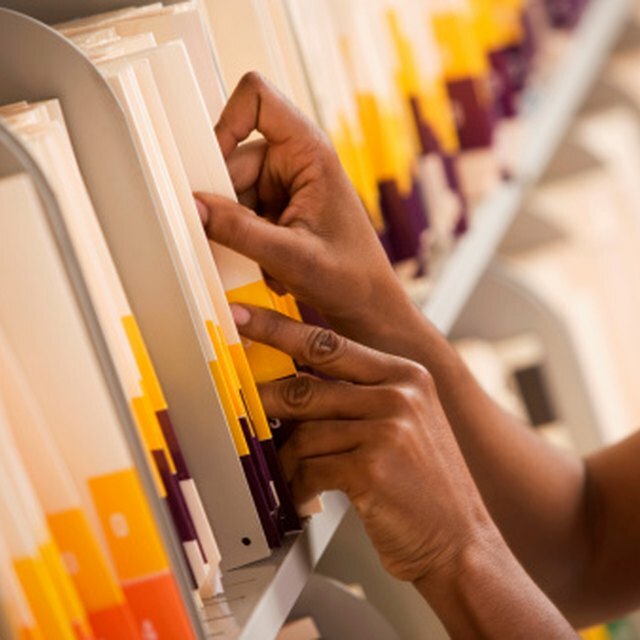 Retrieving old records, even those stored on microfilm, can be a simple process, depending on the hospital's policy for storing records and giving copies to patients. However, with some persistence and good reasoning for viewing the records, you shouldn't come across much trouble. Search online to check your state's laws for how long medical records must be kept by medical professionals and/or institutions. The number of years varies in every state and different regulations are applied for each state. However, many hospitals are keeping electronic medical records for the oldest records and not disposing of any records. Write a request for your records before visiting the hospital. Make sure your request includes the month and year you were in the hospital. Mail your request once it's completed..
Make a good case in your request on why you need your records. The more urgent you sound in your request, the more likely records clerks will make your request a priority. Be patient and persistent. It may take longer for some hospitals to retrieve older records, depending on where they stored them and their process for creating copies of the records. If it's taking longer than you expected, continue calling the hospital's record office. Make sure they work to get them to you as soon as possible. Expect to pay copying fees. Some hospitals may send a bill with your copies. Some may even require you pay the fees before receiving your copies. In most cases, copies can cost between 10 to 15 cents each.